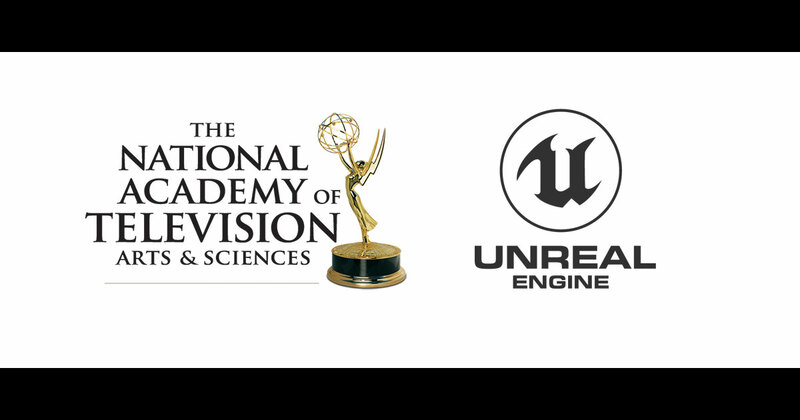 The National Academy of Television Arts and Sciences has awarded Epic Games with the first Technology and Engineering Emmy for Unreal Engine in the 2017-2018 category, “3D Engine Software for the Production of Animation.” We couldn’t be more thrilled with this recognition, and our sincere thanks go to all of the creatives around the world using Unreal Engine for live broadcast, virtual production and mixed reality programming. The milestone points to the benefits of Unreal Engine 4’s real-time rendering feature set, which eliminates the overlapping hurdles of time, budget and bandwidth in order to flexibly and efficiently integrate high-end graphics, VFX and CG animation into visual storytelling. Television professionals are using Unreal to produce photorealistic on-set graphics at high frame rates, which is impossible with other game engine technology. Using the director-level control and power of the tools, content creators are incorporating real-time CG elements into their programming at a level of complexity and quality that has been previously out of reach. Rendering high-end graphics has traditionally been a time-consuming endeavor, limiting what graphic artists and studio engineers can achieve in television, particularly with live broadcasts such as event coverage and weather, where graphics are often inserted into broadcasts on the fly. With CG-animated episodic programming, Unreal Engine reduces or eliminates the need for a render farm resource, transforming workflows and unlocking more opportunities to iterate for a better final result. An added opportunity afforded by Unreal Engine is the ability to use the same generated content across all mediums including web video, mobile, traditional linear production, live broadcast, VR and AR — all from one content pipeline. Animated children’s TV show “ZAFARI” is the first broadcast television episodic series being rendered entirely using Unreal. When the series was picked up by NBC Universal, Digital Dimension set out to build a pipeline that could handle the rendering requirements for their vision of the show, including verdant jungle environments, flowing water, complex camera movements, and various visual effects. Once they began testing, they found that Unreal offered significant time savings over standard GPU-based rendering solutions, without compromising quality. Digital Dimension estimates that with Unreal, they have been able to realize a 300% increase in productivity for any given artist, not to mention cost savings. NEP in The Netherlands has a dedicated team of 20 artists using Unreal, and they are investing heavily in real-time capabilities for their clients using virtual sets in both live broadcast and episodic production. As a result, NEP is delivering photorealistic virtual sets for stylishly produced news and sports broadcasts with little to no physical props. In broadcast studios that are LED-heavy, Unreal saves significant time and money as LEDs are practically free to create and populate digitally in a virtual set environment. House of Moves creates the all-CG “Barbie Vlog” YouTube series, which has generated tens of millions of views on YouTube, using a pipeline built on Unreal. The studio has been able to produce episodes at a fraction of the time and cost typically associated with render-intensive CG productions. In addition, Unreal’s real-time rendering capabilities have made it much easier to produce content in rapid response to today’s 24/7 news cycle. With the rendering speed afforded by Unreal, House of Moves is able to produce each episode from start to finish in under a week, with a team of just five people, with rendering all done on local desktop machines. This efficiency allows the show’s content to be dialed in to culturally relevant conversations, and provides cost savings on both staffing and compute resources. At NAB 2018, Unreal was integrated into multiple virtual set and real-time graphics workflow demos with Zero Density, NCam, HP, Intel, AMD (ARWall), Brainstorm, Chyron Hego, Avid, Ross Video, The Future Group, Zlense, mo-sys, ProCyc, Astuce, Stype and more. Thank you to the Academy for this wonderful accolade, and thanks again to our partners and creators who help Epic push Unreal Engine tools and features forward every day. We look forward to celebrating the achievements of the entire Unreal Engine community at the 70th Annual Technology & Engineering Emmy® Awards ceremony on April 7, 2019 in association with the National Association of Broadcasters (NAB) at the NAB Show in Las Vegas.